Beginning with Harcourts as a real estate business owner Irene and husband Mike were the number 1 franchise for New Zealand. Moving to Australia in 1997 the duo began the global expansion of Harcourts and ultimately purchased the company with partner Paul Wright in 2000. Irene believed a strong focus on growing their people would be their point of difference and has been an integral part of Harcourts Academy for over 25 years introducing successful and diverse programmes in Harcourts training rooms across 10 countries as well as online. As Head of the Academy Irene was the driving force behind becoming a Registered Training Organisation in Australia in 2004 and developing affiliations with industry training providers in New Zealand, South Africa and Indonesia. 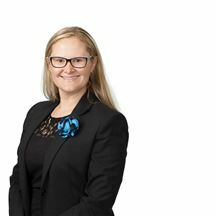 As Harcourts continues to grow Irene is now responsible for the professional development of Harcourts corporate teams, travelling frequently to support our existing operations dotted around the globe. Inducted into the Harcourts Hall of Fame in 2013 for outstanding contribution Irene continues to champion international projects such as Harcourts Inspirational Women, Harcourts Future Leaders and Team culture initiatives. Irene holds a diploma in teaching, a diploma in workplace education and a diploma in business (real estate). 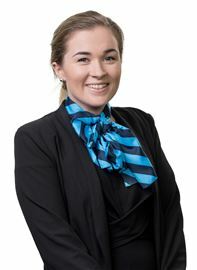 Based in the Queensland State office, Julia is the Executive Assistant to Harcourts Managing Director, Mike Green. 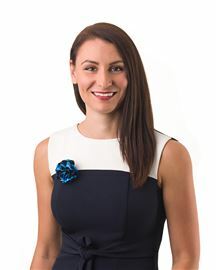 In addition, Julia is the Australasian Coordinator for the Harcourts Foundation, our charitable organisation, with her main focus on working with all target audiences, both internal and external, to raise awareness of aims, goals, and achievements of the Foundation. 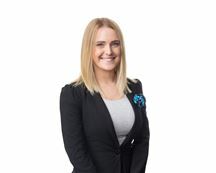 After completing her Bachelor Degree in Business in the USA, Julia gained a wealth of knowledge from her various positions within the mortgage finance industry, in both California and Queensland, joining Harcourts Financial Services (now Mortgage Express) in 1998. 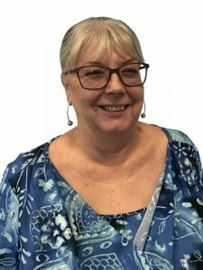 Julia holds her Cert IV in Financial Services (Finance / Mortgage Broking) and was a Full Member of the Mortgage & Finance Association of Australia (MFAA) for many years. 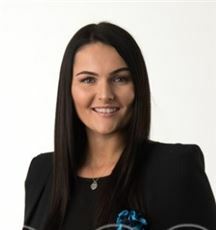 Julia joined the Harcourts International team in August 2011, and the invaluable experience gained from her roles as an IRS Tax Collector, mortgage loan processor, mortgage broker, Company Administrator and Business Development Manager has contributed to her proven skills in communication, team work and organisation. Mike has over 25 years of experience in the real estate industry. He is the former owner of Harcourts franchise, Mike Green Real Estate Ltd (Auckland). With nine offices and over 150 people, the operation achieved No 1 Harcourts Franchise for New Zealand for four consecutive years. Moving to Queensland, Australia in 1997, Mike and Irene Green were responsible for the establishment and growth of Harcourts' Australian arm. Taking over as Managing Director of Harcourts International in December 1999, Mike then became responsible for the overall operation and direction of Harcourts' group of companies, growing the organisation to now encompass over 10,000 people operating in 10 countries. Harcourts completed in excess of $26 billion in sales volume in the last financial year. In his role with Harcourts New South Wales, Rob is responsible for driving internal growth through the development of the group’s existing business by coaching and mentoring its business owners as well as recruiting new talent and offices within the state. Rob was born into a real estate family, and was formerly a business development executive and group auctioneer for one of Australia’s leading industry networks. During his career, Rob has played a key management role within real estate businesses and has been on a number of real estate industry committees and boards, sharing his vision for long term growth within the industry. Rob is a proven expert in the areas of organisational and strategic development, project management, team development, and leadership. He has also been instrumental in developing a number of industry groups for the next generation of real estate practitioners and looks forward to bringing this experience into his new role with Harcourts. In his role with Harcourts New South Wales, Rob is responsible for driving internal growth through the development of the group’s existing business by coaching and mentoring its business owners as well as recruiting new talent and offices within the state. Tim Keenan is Director of Qalibre, a financial and commercial advisory firm based in Christchurch, New Zealand. Mr Keenan has a strong financial and commercial advisory skill set working alongside directors and shareholders in driving business performance and growth strategies with specific strengths in the advisory areas of acquisition and business disposal, structuring and project management of commercial transactions including due diligence. 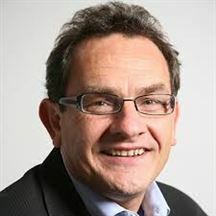 Experience with formal governance roles on both For Profit and Not for Profit Canterbury based organisations, Mr Keenan’s experience includes chairing both full boards and finance and audit sub committees, as well as driving accountability across management teams and owners for business performance. 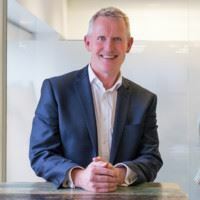 An experienced commercial advisor with over 25 years’ practicing as a Chartered Accountant in New Zealand, Mr Keenan is a member of Chartered Accountants of Australia and New Zealand. Graham Mirabito has over 35 years of experience in the information technology industry including 10 years in engineering, five years sales and marketing and 20 years in operations, mergers, acquisitions and general management. The last 12 years Mr Mirabito was CEO of RP Data /CoreLogic, the industry leader in property data and analytics, providing solutions to real estate, finance, insurance and government industries in Australia, New Zealand, UK, China and India. The company ASX listed in 2006 and was acquired by strategic shareholder, CoreLogic in 2011. Jason Luckhardt has extensive experience in the property industry, with nearly 3 decades working across most areas of the market. This includes property sales and management, property development and asset management. Jason's clients have included major accounting firms, banking corporations and government departments in the areas of asset structuring, through to major franchise groups and management consortiums in site acquisitions. Jason has previously owned and operated his own Ray White franchise and in recent years has been General Manager of a development company specialising in master-planned projects, including a Seaside Golf Resort in Townsville, The Exchange Building in Beenleigh and several golf and prestigious riverfront residential projects. Jason studied History and English literature at The University of Queensland and has studied business, specialising in marketing. Jason is an active member of the local community. He is a local Community Bank Board Director (Public Company) and former Chair of the St Matthew's Catholic School Board, and was also a candidate for the Mayor of Logan City in 2006. 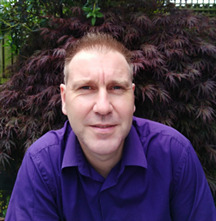 Jason has 3 children, enjoys travelling and is a Scuba Diving Instructor (PADI). With over 20 years’ experience in the Real Estate and Financial Service sectors, Marcus thrives in a high energy, team environment. Marcus’ expert leadership combined with collaborative communication and listening ensures consistent delivery of exceptional products and services, tailored to the evolving needs of clients. An innovative thinker, Marcus’ skills and experience span across local, national and global markets. As Harcourts Operations Manager for Australia, Marcus is responsible for working directly with each State CEO, ensuring Harcourts continues to increase its market coverage and market share to achieve even greater success as the fastest growing real estate group in Australia. Susan Rix is a Tax & Advisory Partner with BDO in Brisbane, and an accomplished business leader with over 35 years of experience as a chartered accountant and corporate advisor assisting clients in various aspects of commercial, financial and taxation matters with an emphasis on small to medium enterprises across a broad range of industries and professions. With extensive experience in taxation, general business and management services, provision of budgets, cash flow projections and providing advice to improve business efficiency and profits, Ms Rix has also assisted a number of businesses in establishing accounting systems to provide information for use in decision-making. 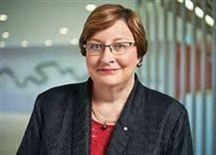 Ms Rix was made a Member of the General Division of the Order of Australia in June 2014, and is a Fellow of the Chartered Accountants, Australia and New Zealand, and a Fellow of the Australian Institute of Chartered Accountants. 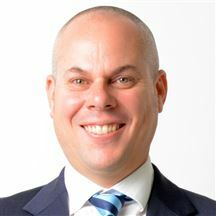 Tim joined Harcourts in March 2008. Having worked in the Information Technology industry for over seven years as a Multimedia Developer then Interaction Designer and has given Tim extensive experience in utilising technology to successfully deliver information and knowledge. His short stint as a computer game designer helps him make it fun. Tim holds a Bachelor of Multimedia from Griffith University and strongly believes that technology is only useful if it makes people's lives better or easier. As the Academy's Online Learning Manager, Tim is responsible for the design, development and maintenance of all Academy online systems.